Wynkoop Brewing Company is so much more than Denver’s first brewpub; it’s housed in a building that is steeped in the city’s mining and railroad history. Though the J.S. Brown Mercantile Building was not built until 1899, the area it is built on and the owner, John Sidney Brown, had been doing business with miners, brewers and grocers since 1861. It’s almost like history set the stage for Wynkoop‘s successful destiny: world-renowned craft beer and New American pub grub. And, it’s as if the building itself was meant to be tied to historical events forever. In 1868, J.S. Brown was among the men who broke ground for the railroad in Denver. A strong advocate and key player (alongside other historical names like George Morrison and Governor John Evans) in bringing the railroad to Denver, Brown lobbied and raised money until the completion of Union Station, 13 years later. With his business located directly across the street from Union Station, the building was meant for success. In 1902, the Mercantile building made the news again, and was named “a magnificent structure, fitted up in a perfectly modern style, having railroad switches in its front and rear, and every convenience necessary for the prompt transacting of business” by the Denver Times (Denver Post). Fast forward 80 plus years, and the building is still making history. In 1988, a relatively unknown and laid-off geologist by the name of John Hickenlooper started the Wynkoop Brewing Company inside the old Mercantile building. Mr. Hickenlooper went on to become the Mayor of Denver from 2003 to 2011. He was then elected as Governor of Colorado and assumed office on January 11, 2011. But the political fame for the famous brewpub doesn’t stop there. On a normal Tuesday in July of 2014, President Obama made a surprise visit to the unsuspecting brewpub. It was widely reported that Mr. Obama enjoyed a Rail Yard, the pub’s best-selling ale; and played a friendly game of pool with GovernorHickenlooper. 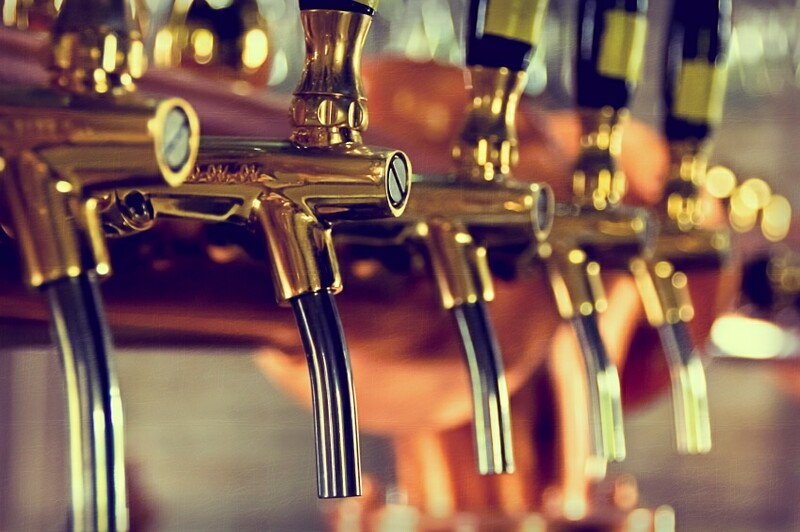 Wynkoop Brewing Company has and always will be connected to and making history. The experience of the historic atmosphere and the quality, crafted beer make this destination a Denver institution. Want to experience the magic of Wynkoop Brewing Company in person and learn more? Check out these brewing tours today!